Some readers wanted to know how the rear-wheel-drive Tesla Model 3 would fare in snowy conditions with snow tires ... Now You Know! We already shared some videos of the Tesla Model 3 driving in snowy conditions. In fact, Now You Know previously tested the same car in similar conditions with Continental ProContact all-season tires. Due to the Model 3s heavier weight and spread out weight distribution due to the "skateboard" battery pack, it fares pretty well. It's in no way typical of what one may have experienced from a traditional rear-wheel-drive vehicle in the snow. Gas cars have most of the weight up front because of the engine, so providing the power from the rear isn't advantageous for traction on slippery roads. This is one of the primary reasons most cars nowadays are front-wheel drive. Adding snow tires to the already weather-worthy Tesla small sedan makes for an even better snow-driving experience. As you can see from the video, he's driving on slippery, untreated roads, and even proceeds up a steep driveway with little effort or loss of traction. If you plan to drive the Model 3 in worse conditions (and it's allowed in your area), Tesla also offers pewag snow chains for the car. 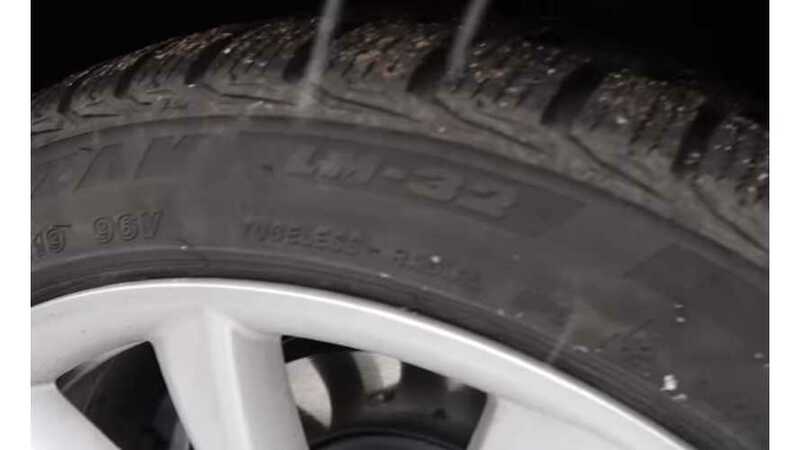 The snow tires shown in the video are 19-inch Bridgestone Blizzaks (show to the right). How well does the rear wheel drive Tesla Model 3 handle in the snow with snow tires? Find out next on Now you Know!